Where Can I Spread Bet on the Wall Street 30 / UK 100 Differential? Where Can I Access Live Wall Street 30 / UK 100 Differential Prices? 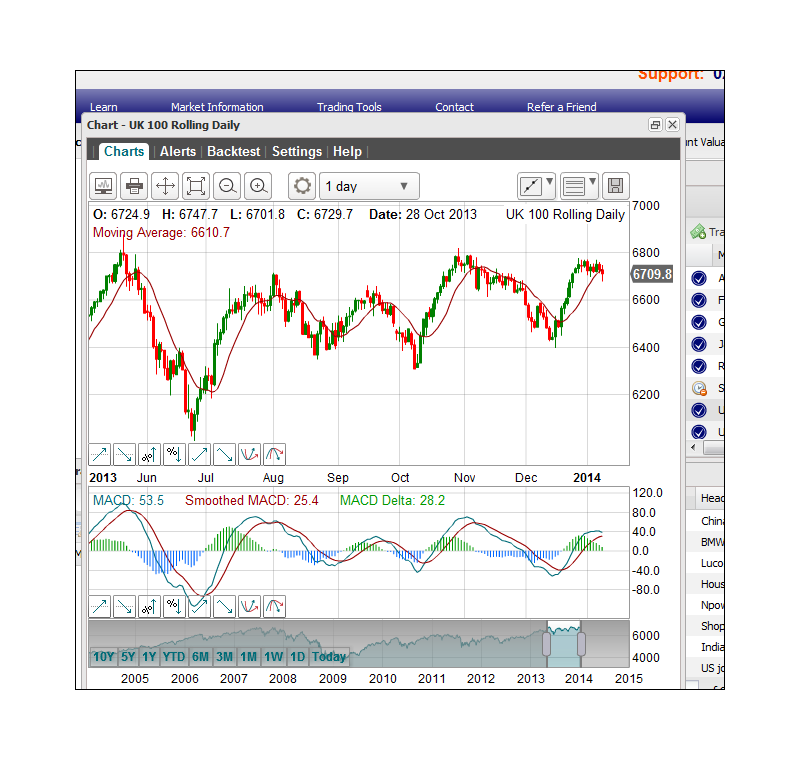 Where Can I Get Live Wall Street 30 / UK 100 Differential Charts? Where Can I Practice Trading the Wall Street 30 / UK 100 Differential? FinancialSpreads provides clients with a range of spread betting markets like the Wall St 30 / UK 100 differential but also individual indices such as the Germany 30, France 40 and Japan 225. Financial Spreads offers investors real-time prices on over a thousand financial spread betting markets like the Wall St 30 / UK 100 differential and a wide variety of other stock market indices, foreign exchange, shares and commodities prices. When using a Financial Spreads account investors can look at up-to-the-minute candlestick charts for the Wall St 30 / UK 100 differential and more than a thousand other markets. On the closing date for this March market, 19 March 2015. This is a 'Futures' spread trading market, therefore your trade will automatically be closed on the settlement date. Having said that, usually you can also close your position, during market hours, prior to the expiry date. Also consider that these futures markets do not have overnight fees. Traded Units Spread betting trades on the Wall St 30 / UK 100 differential market are priced in £x per point. Where a point is 1 point of the market's price movement. E.g. if the Wall St 30 / UK 100 differential moves 35 points then you would lose / win 35 times your stake. Stake You decide how much you would like to trade per point, e.g. £1 per point, £4 per point, £20 per point etc. Brief Staking Example With that in mind, if your stake is £4 per point and the Wall St 30 / UK 100 differential changes by 30 points, you would win or lose £4 per point x 30 points = £120. When the contract is settled (expires), 19 March 2015. Lock in Your Profit? At this point, you can choose to leave your trade open, and possibly let it run to the expiry date, or close it to lock in a profit. For this example, you opt to settle your trade and sell the market at 11106.1. The Wall St 30 / UK 100 differential falls. Restrict Your Loss? At this point, you could opt to let your position run to expiry or close it in order to restrict your loss. In this instance, you opt to run the trade until expiry. The futures market finally settles at 11023.1. When the market expires, 19 March 2015. Time to Lock in a Profit? You may decide to leave your position open, and maybe let it run to the expiry date, or close it, i.e. close your trade for a profit. In this instance, you choose to let your position run until the market expires. The contract finally settles at 11021.0. Limit Your Loss? At this point, you may decide to leave your trade open, and maybe let it run to the settlement date, or close it to limit your losses. In this example you decide to close your bet and buy at 11112.3. Where Can I Practice Financial Spread Betting on the Wall Street 30 / UK 100 Differential? FinancialSpreads.com provides you with the option of trying new trading theories by using a free Practice Account, markets include the Wall St 30 / UK 100 differential. The Demo Account offers a wide range of markets such as stock market indices, currencies, commodities and shares. Investors can trade a range of popular financial markets 24 hours a day. The 24 hour markets include the FTSE 100, Germany 30, gold and crude oil. There are 30+ FX markets including EUR/USD, GBP/USD and...» read more. How and where to spread bet on differential markets. Plus an introduction to stock market and commodities differential spread betting, a worked trading example and...» read more. How and where to trade crude oil differentials using spread bets or CFDs. Plus what is a differential market, detailed trading examples and...» read more. Review of Wall St 30 / Germany 30 differential spread betting. How and where to trade the US / German stock market differential, a detailed trading example and...» read more. 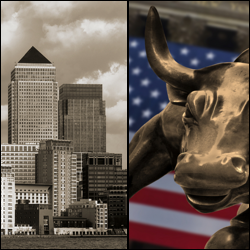 Guide to trading on the Wall Street 30 / UK 100 differential market including where to find live spread betting prices, a worked differential spread betting example and...» read more. How and where to trade the Germany 30 / UK 100 differential spread betting market. Plus a fully worked Germany 30 / UK 100 trading example and...» read more. The highly competitive forex service comes with one point spreads on EUR/USD and EUR/GBP. There's 24 hour forex trading and now Financial Spreads has reduced the spreads on 30 forex markets. Forex investors can...» read more.